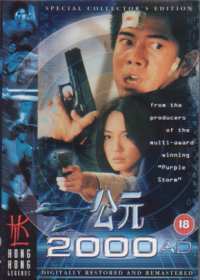 Back when I was starting to get more into Hong Kong cinema, I began branching out on the type of films I would watch. I used to be exclusively martial arts, but slowly I started to watch more and more different types of film from Hong Kong and Asia. With Hong Kong Legends releasing different genres, they were a good resource for discovering new films (before I discovered buying from Hong Kong online in 2001). With films like Hard Boiled I got into the bullet ballet type film and I do recall 2000 AD being among my early entries into the action genre. 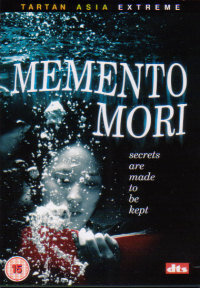 I had very positive memories of the film and when I finally got round to watching it a few days ago, I just hoped that those memories hadn't been distorted over time. Well, despite getting older I am very glad (and relieved) to say that my memories were not unfounded, 2000 AD is a very good film. It had a little more impact on me during this viewing as now I knew who the majority of the main actors and actresses on screen were, whereas before, Francis Ng, Daniel Wu, Aaron Kwok etc were just people on the screen. With this knowledge I was able to judge far better how good a performance each person put in and in that area I have to be impressed with Daniel Wu. I actually liked quite a few of the films I saw him in early in my Asian film life. There was this and Purple Storm both of which were good films, but as I saw more and more, I saw some films of his that were utter drivel, or certainly his acting in them was, Naked Weapon is one of several stand outs there. In 2000 AS he's got a good character to work with, a reasonably quiet computer geek, who knows a little martial arts. It is not a stellar performance, but one that easily does the job of the loyal friend in over his head. Francis Ng is almost always a reliable actor to have in a film with no exception here. Just a little shame his role was not bigger. 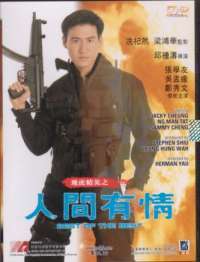 The main star is Aaron Kwok as another computer geek with a brother who's in trouble. I remembered Aaron from being the bad guy in another film I really liked Saviour Of The Soul. There he was the quiet deadly type, whereas here he isn't quite as quiet! He's convincing in his role and fares very well at all the stunts and fight sequences. The extras state that he pretty much did all his own stunts, so fair play to him there. His opposite number is the villainous Andrew Lin. He's got the suave, arrogant look to him in the film and is a pretty good bad guy. Good English for all the English dialogue scenes and a ruthless streak a mile wide! The rest of the cast also put in credible performances. So acting gets the thumbs up here, onto the rest. Story wise I quite liked what was going on. It is all hi-tech (or was more so at the time it was made), and in that you can read that it is all to do with computers and that sort of thing. It may be a little predictable at times, but the pace remains fast throughout, with developments and incidents occurring with high frequency. The plot does its job to get the viewer intrigued in what is going on and puts the characters in situations to question what you think you know and others to excite. My only concern is in believing what I see. The main plot thread is ok, but believing that Aaron Kwok's character can do all the things that we see him doing is difficult. I mean, he's just a computer programmer and expert computer games player - how does that mean he's also a good shot with a real gun and can fight well against trained police and military agents? Maybe I'm being too picky and should just suspend my belief a little for the duration of the film. Where action films have to score high marks is in their, ummm, action (duh...). To that end there are plenty of action scenes in 2000 AD to satisfy most action fans. Gunfights are frequent with bullets being fired all over the place, the body count is quite high, with even some main characters not being safe and the atmosphere is frantic. The only complaint, and this goes for a huge, huge number of gunplay films, is that the bad guys have terrible aims. Granted the film would be over a hell of a lot sooner if the leads were shot and killed in the first gunfight, but at times you've got to start questioning if the bad guys had ever shot a gun before, because they can't seem to hit whatever they are aiming at (unless it is an 'extra' good guy). The number of times Aaron should have been shot is ridiculous but even still it is exciting to watch. The martial art scenes aren't of as good quality, but they are still decent enough. Aaron has obviously done some training before, either for this film or one of his previous roles, and this shows as he is able to handle a lot of the moves quite well. The fights will never compare to the likes of Jet Li, Jackie Chan or Donnie Yen et al, but they do the job required in 2000 AD. Watching it again after several years was a very pleasant experience, as it lived up to my memories and expectations, which is a rare event these days. Usually I remember films as being far better than they really were. With 2000 AD you've got a good cast giving good performance in a good film with some very good action and a fast paced atmosphere. There are a lot of gunfights in the film and in films like that the best thing to do is turn your audio system up loud and enjoy! The surrounds are made full use of during the action scenes, with bullets whizzing around all over the place, car tyres screeching to your left and right and other more subtle effects being played around the speakers too. It sounded cool. My main complaint is the volume of the impact noises during quite a few of the hand to hand fights, in that the impact was very quiet. This gave the impression that the blows had very little power behind them and that they wouldn't and shouldn't hurt the person being hit. By simply increasing the volume of those noises, the film-makers could have added a lot more to the fight scenes. The subtitles were flawless (as far as grammar and spelling go) and fortunately the English dialogue, of which there is quite a lot, is not subtitled. 2000 AD is not an old film and fortunately the film print is testament to that. HKL have no doubt done there thing to make it look better and I can honestly say I've got no complaints about it at all. Colours looked good, there was very little noise or dirt on the print, not much evident grain and clarity was good. Nice. There is a reasonable host of extras on this DVD. First up there is an audio commentary by Bey Logan and Gordon Chan. I'm afraid I've never listened to a single audio commentary in my life, and I don't really have any intention on starting so I can't comment on how informative this one is. There's the original theatrical trailer and the UK promo trailer, a film Picture Gallery which pretty much does as it states, then there are the two best extras. First of these is the Making Of as this shows different scenes being filmed and features frequent interview snippets of the cast and director, particularly Aaron Kwok. Definitely worth a watch as I found it interesting to see how the film was made and Aaron Kwok is quite a funny guy! Lastly there are interviews with Gordan Chan and Andrew Lin. Both are enlightening and I was quite surprised to hear about Andrew Lin's work on things like Alien 3 and the Budweiser frog commercials! Not amazing extras but decent enough. There is 99 minutes of good to very good entertainment contained within the box for 2000 AD. You won't get bored while watching it, there are plenty of gunfights and action scenes to keep you going and the extras can pass a little more time if you are that way inclined. This is certainly a film I'd recommend.